First off, I do not make a living, in any way, off of these links. Barnes and Nobles links are NOT affiliate links. I do not get any percentage back from your purchase through them. Amazon links ARE affiliate links, including the Amazon shop page on the sidebar (Under "Looking for a book? | Support the blog: Shop Amazon"). The Audible graphic in the sidebar is also an affiliate link. My thought is this: if you are already interested in buying a certain product, say after reading my review on it, and there happens to be links to Amazon (or ARe) to buy the product, perhaps you might consider using my links to buy it. It would save you a step of having to look up the product, and if you do buy it, I will receive a small percentage of the order. I think it's a win-win for both of us, but I would in no way force any reader of my blog to do so. Any money that I get from these links will always go towards future items for this blog (designs, upkeep, prizes for future giveaways, etc.). 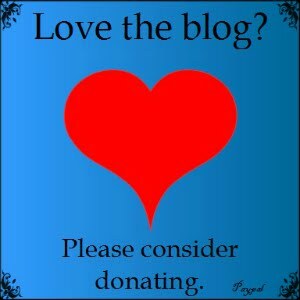 Truly, by shopping through the affiliate links, you are helping the blog out. 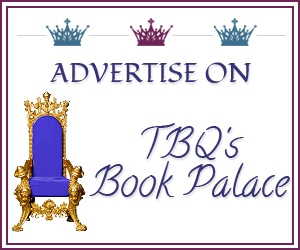 Note: The Amazon links I use on the blog's social media page to promote a book are also affiliate links. In short, if you are already interested in buying a particular book, and you wish to buy it from Amazon OR All Romance, perhaps you could help out my blog and buy it from one of the links provided throughout this blog?